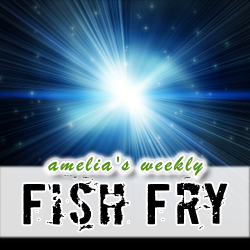 Fish Fry is going off the rails this week. We’re trading o-scopes for tri-corders. We’re ditching that RTL, HLS, UVM and I2C for JTK baby. JTK. Yes, I said it. My guest is Marc Cushman, author of the book “These are the Voyages – The True History of Star Trek: The Original Series, Season One”. We’re dishing about some of the juicy details of this new book including how Hollywood politics shaped its legacy, what Gene Roddenberry’s private memos revealed about the nature of the show, and how Star Trek has shaped the world as we know it. Also this week, I am giving away a BeagleBone courtesy of newark element14. Check out this week’s broadcast to find out how you can win. More Information about the book “These are the Voyages – The True History of Star Trek: The Original Series, Season One” by Marc Cushman.